Ben Williams was appointed to the Board of Goldbridge in 2007 and to his current position as Chairman in 2010. Together with his father Mr Keith Williams, Ben and his family company have been at the forefront of the Queensland tourism industry for the past several decades, 16 years of which Ben was its CEO. During this time, the Williams family were responsible for the creation and operation of some of Australia’s most iconic tourist facilities including Sea World, Hamilton Island, Daydream Island and Port Hinchinbrook. 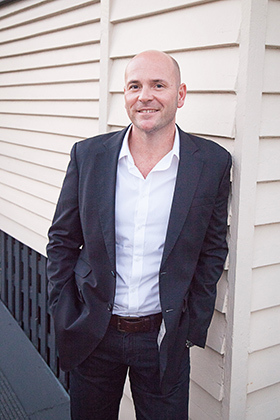 Born and bred on the Gold Coast, Ben has a deep passion for supporting not for profit pursuits that have a proven and sustained positive impact on the Gold Coast community. Ben’s extensive commercial knowledge and expertise has been invaluable to the success of Goldbridge in recent years. Ben remains dedicated in continuing to serve as Chairman of the Board in order to ensure that the essential services currently offered by Goldbridge continue to be provided and expanded to meet much needed community demand.